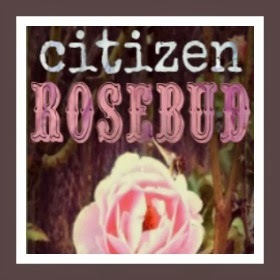 THE CITIZEN ROSEBUD: #SHOESHINE: Be Present. Welcome to Shoe Shine No. 10. The year has just begun, and we've so much to look forward to. One of the things I look forward to is refining my shoe collection/hoard and turning it into something full of great keepers, like the shoe above. Fabulous, well made and almost timeless in its appeal- it's by Cydwoq, a shoe brand I became aware of only because of a couple of fashion bloggers, Patti of Not Dead Yet Style, and Megan of Megan Wear Daily. Now I've got Cydwoq on my radar, and wish list. Cydwoq from 530medialab on Vimeo. KENMERE AVE -- CYDWOQ Shoes from Cliff Dweller on Vimeo. Cydwoq gets bonus points for being a U.S. based company from California. Now, share the shoes that make YOU feel like a star! Early Bird give-away: Be one of the first Superstars to share your link, and you are entered to win a $20 worth of Citizen Rosebucks, Good for a FRESH PICK personal shopping spree. Enter your link before January 17, and you are automatically entered to win. Winner will be announced in a blog post, January 21st. Rosebucks are valid 90 days from date issued. 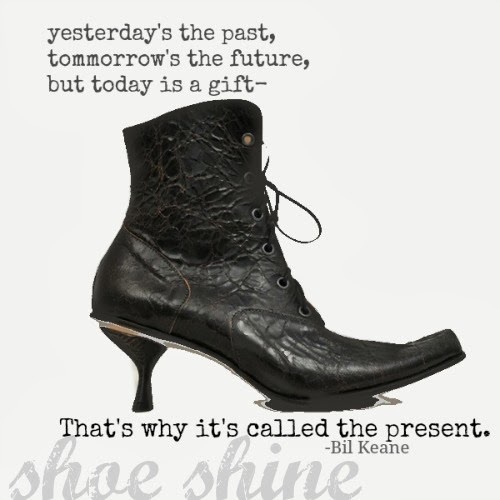 I like what Bil Keane wrote about the present. When I think Cydwoq I immediately think of Megan Mae. Your featured pair is pretty incredible, a cross between cowboy boot and old-timey shoe. I would love to hone my collection too - I have too many pairs of oh-I-can-paint-these shoes, which I of course put off doing. Thanks for hosting this, Bella. That's always been one of my favourite quotes, spot on. Ahhhh I'm lusting after those boots and thanks so much for introducing me to the delights of Cydwoq shoes, so much to love there! Thanks for this monthly celebration, Bella. Cydwoqs - so dreamy!!! I've got Cydwoq on my radar as well. See what this blogging community does to (or for) us? Thank you, Bella for hosting this ever so fun party. Shoes are definitely meant to shine, at least they sure do brighten my day. I was going to ask for the correct pronunciation of Cydwoq, then I said it out loud, D'Oh. Glad I didn't ask! Very cool footwear! I wasn't sure what to enter in the line in the rafflecoptor, so I just put my name there? Thanks for hosting Shoe Shine Bella! Hi Bella! I very rarely have my act together enough to join in the fun, but i managed to this time! Love your spotlight booties, i have a similar pair that are worn TO DEATH. I found a local place that sells Fluevogs, but they've never heard of Cydwoqs. They do look like great shoes - I love those short boots you featured. I hope it's okay if I put in two links. I've got one ready now and another one on the way! I find updating my shoes one of the hardest parts of adorning. In my heart I really like simple pumps. Not very modern and they can make an outfit look very old fashioned (or classic). I look at more modern shoes, I love them with other bloggers but I still don't buy them. Strange. I will link up to your Shoe Shine in my new post next Monday, otherwise you don't get enough exposure as a lot of people have already seen this week's post. Love and sunshine, my gorgeous Bella. Thanks, Bella, for January's Shoe Shine. Now I have Cydwoq on my radar too! Got some new shoes in the mail yesterday. Wore them today, but too harried at work to take a proper photo. Tomorrow, for sure! I don't know if I want to know about another groovy shoe company. Sigh. I must start saving my $$ for the road trip. I've seen those Cydwoqs in quite a few stores here and they always catch my eye. They are HUGELY expensive (almost double the price of Fluevogs) but look like they are very well made. I want, no I NEED those granny boots!! I shared the ones I posted today... old photo but I love it!